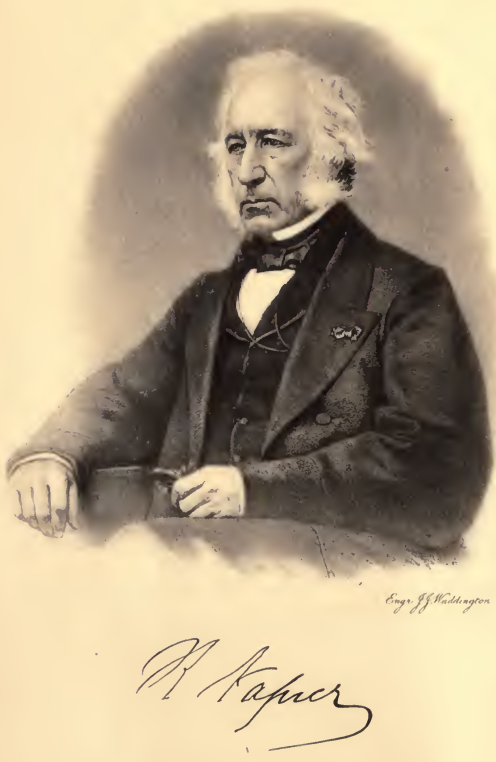 Chevalier of the Legion of Honour; Knight Commander of the Order of Dannebrog; President of the Mechanical Engineers by James Napier, M.A., F.R.S.E. It is often said that the Clyde made Glasgow, and the object of this volume is to relate in some detail the life of one who, by his energy and perseverance, caused the Clyde to become the most famous shipbuilding centre in the world, and thereby contributed most materially to building up the fabric of what is now called the second city in the Empire. Dumbarton—Parentage — Birth—School-days —Apprenticeship—Works as a journeyman—Starts in Glasgow—Joins Hammermen—Marriage. Birth—Removes to Glasgow—The Comet—Camlachie Foundry—Starts Belfast trade—Purchases Lance-field—Goes to London—Inventions—Later years. Leases Camlachie Foundry—Engages David Elder—Order for Leveris engine—Success—Builds Belfast steamers — Meets Maudslay—Wins Yacht Club race—Acquires Vulcan Foundry. Retires from Royal Yacht Squadron—Sends for Napier —Orders Menai—Builds Fire King—Speed of Fire Queen — Dislikes screw yacht — Intimacy with Napier. Equips Yulcan Foundry—Founds Steam-Packet Companies—Contracts for Dundee and Perth—Their great success—Letter to Mr Duncan—Introduction to East India Company—Builds Berenice— Yoyage to India—Beats Atalanta—Intimacy with Mr Melvill. Introduction to Admiralty—Tender for Vesuvius and Stromboli—Captain Ommanney’s report—Hostility to Scotch engines—Parliamentary return—Result —Letter on Boiler question. Acquisition of Lancefield—Defeats Clyde Trustees— James Napier—John Wood—Pounding of John Reid & Co. — Connection with Muirkirk Iron Works—Letter from Lord George Bentinck. Early attempts—Letter to Mr Patrick Wallace—Proposal falls through — Inception of British and American Company — Engines British Queen— Results—Failure of Company. Cunard’s early history—Consults Mr Melvill—Negotiations with Napier—First contract signed—Correspondence with Napier — Difficulties — Napier supports enterprise—Offers Burns agency—Succoss —First shareholders—Intimacy with Cunard. Acquires ground at Govan—Appointment of William Denny — Starts iron shipbuilding — First iron steamer for Admiralty—Simoom—Intimacy with naval officers—Family relationships. First cottage—Enlargement—Disappearance—Present mansion—Professor Kerr’s criticism—Collection— Hospitality—Letter from Marquis of Dalhousie and others—Erection of Row church and statue to Henry Bell. Future plans—Santiago difficulty—John Elders departure—Napier and Elder firms—Crimean War —Persia—Erebus—Retiral of James R. Napier— Western Bank— Cathedral —University— Letter from Melvill. Admiralty orders Black Prince—Parkhead Forge—Rolf Krake—Turkish frigates—Neptune—Scotia —Cape mail - steamers—Queen of the Thames— Practical retiral—“Measured mile”—Last public appearance—Hospitality—Honours. Golden wedding—Congratulations—Loss of friends—Death of Mrs Napier — His illness — Death—Funeral. Chapter XV. An Inspiring Memory. Appendix I. Copy of original contract for first Cunard steamers, 18th March 1839. Appendix II. Particulars of some of the leading contracts executed by Mr Napier.